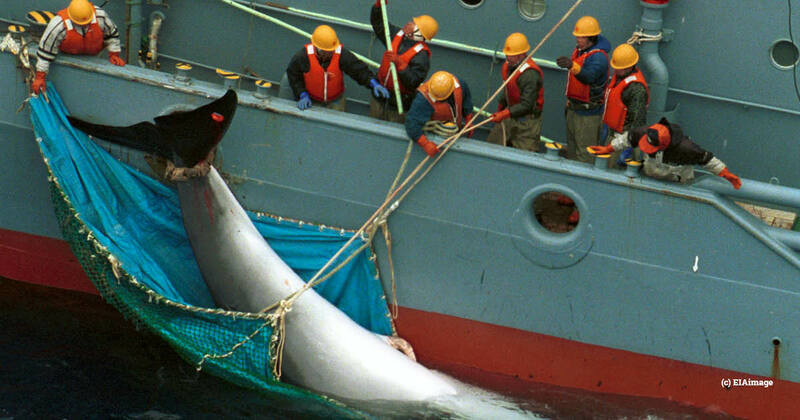 The International Whaling Commission (IWC) has today (14 January) confirmed it has received formal notice of Japan’s decision to quit..
Japan’s notice of withdrawal from the International Convention for the Regulation of Whaling (1946) and its Protocol (1956) was dated 26 December 2018 and will take effect from 30 June 2019. Until that date, Japan will retain membership and voting rights at the IWC. The decision was notified to the USA, which is the depository government for the Convention. The USA will provide a diplomatic note to the Embassies of the Convention Parties in due course and will also update the status of the Convention document to reflect the notification. Japan’s withdrawal to effectively become a rogue whaling nation is widely seen as a retaliatory measure to September’s defeat at the IWC’s Brazil meeting of its IWC Reform Proposal. This plan called for the formation of a Sustainable Whaling Committee to set commercial catch quotas as well as the convening of a diplomatic conference to amend the International Convention for the Regulation of Whaling – effectively undermining the international moratorium on commercial whaling. “Japan’s decision to leave this long-standing, widely respected international agreement and go it alone as rogue whaler is deeply regrettable,” said Clare Perry, Oceans Campaigns Leader.